Welcome to the latest installment of Dear Urbaneer, where we connect with our clients to answer housing questions that have been troubling them. This time around we chat with a prospective home buying couple at the outset of their house hunt. They are wondering about the very pragmatic issue of closing costs and want to ensure they have the proper funds set aside to cover these, come the much-anticipated closing day. We admit it. We’re planners. And we also are aware of the need to have our financial ducks in a row once we find a property that suits us at our price point. We also know of the benefits and necessity of moving swiftly to secure said property. We’re in the process of setting a budget for our home purchase, and know that we are going to be responsible for some costs above and beyond the actual price to buy the home. What are these costs exactly and what can we expect to pay? How much should we earmark in our budget? We want to be prepared! Firstly, we tip our hat for your commitment to plan ahead and consider all the details early on. Being prepared and knowledgeable about what to anticipate is only going to make your venture more successful, pleasant and fruitful. And yes, you are correct. There are a number of closing costs and fees that you should anticipate having on hand to fund closing day. A rule of thumb we employ is having funds in the range of 5-10% of your planned purchase price set aside where they can be easily accessed (i.e. cash or liquid assets) in the event you're wanting to move ahead with an offer. As you probably know from friends, family and the media, time is of the essence at the moment in the hot Toronto property market. It’s not just about helping you be prepared either. Setting funds for closing costs aside can be a tool to help you secure the property you want over other potential buyers. Having a bank draft for your deposit (to be held in trust until closing) attached to the offer is a great way to tell the seller you're really serious about buying their home. As for a list of other expenses, we’ve included a list of common fees and payments, which will help you dot your “i’s” and cross your “t’s”. Use this as a discussion point with your mortgage professional and or lawyer for your planned home purchase, so that you have an accurate sense of your budgetary limits. In any Agreement of Purchase and Sale, there is a clause which allows for the adjustment of property expenses associated with the dwelling on the day of closing. These aren't for new accounts like hydro, gas, cable or property insurance which you will arrange for the day you take ownership, but for items tied with the land like Municipal property tax(es), condominium maintenance fees, or any rents paid by tenants who are being assumed by you the Buyer. If your purchase closes mid-month or mid-year, for example, your lawyer will adjust for the number of days that may have been prepaid by the Seller for the duration which carry on beyond the closing date. For example, if the Seller has paid the entire annual taxes and you're closing in mid-October, the balance of the year of taxes will be credited to the seller as a closing adjustment. A lawyer assists in facilitating your purchase. If you engage a lawyer early, you may have them review the Agreement of Purchase and Sale in advance of negotiations. If you hire your lawyer after making a purchase, the lawyer will search title, prepare title insurance, draw up mortgage documents in conjunction with your lender, and look after closing details (like the adjustments mentioned above), for which you will be charged a fee. Here's an intelligent article in The Globe and Mail which outlines more specifics and our own post called I’m Buying A Property. What Does A Real Estate Lawyer Do? 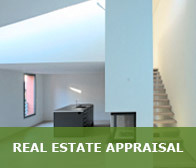 Real estate appraisals take many different forms. They are an estimate of value – market, cost or other. Your lenders will require an appraisal as part of their underwriting in order to verify the value of collateral for your mortgage. In addition, depending on the equity in a property, an owner may require insurance through CMHC or Genworth, which is governed by regulations issued by the Department of Finance. Appraisals for lending purposes are done on a case-by-case basis, especially for the lender to assess their own risk as well as confirmation that the price you paid reflects market value. It’s important to note that your lender will not accept a recent appraisal ordered by you or the homeowner. It’s standard that they require a separate valuation done by a lender-approved appraiser. This is all about their due diligence, and responsible lending in regards to property valuation. You’ve no doubt heard about this in the news over the last few years. The provincial and city land transfer taxes are fees levied to the purchaser when a property changes ownership. 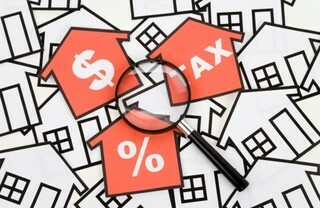 These taxes constitute the largest portion of closing costs on a resale home, so homebuyers should be prepared. For example, for the purchase of a home valued at $450,000, Provincial LTT would be approximately $5475, and the additional Toronto LTT would be approximately $4725 for an approximate total LTT amount of $10,200). 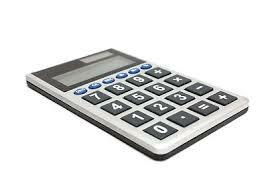 You can adjust your anticipated costs to reflect the likely purchase price of your intended home. Here's a Land Transfer Tax Calculator, and, further down the page, note the rebate chart if you're a first time buyer. Fortunately, HST is not generally applicable to resale homes unless they've been substantially renovated. 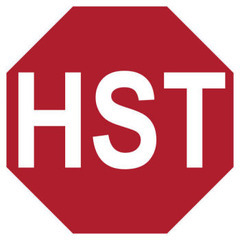 However, HST is/may be applicable to services provided relating to the purchase. And if you're purchasing a new property, note that many developers include HST in the purchase price for owner-occupant dwellings but not for investors, so you could see an additional charge if you rent out that new condominium instead of moving into it yourself! This cost is one to sort out with your mortgage professional and/or lawyer, and may impact your selection of closing dates, if applicable. 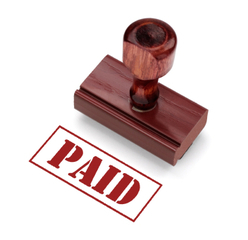 You will need to pay any interest accrued between your closing date and your first scheduled mortgage payment. This has to be paid on the Interest Adjustment Date. Many lenders accept Title Insurance, in lieu of a survey. Title insurance is an insurance policy that protects you as a Buyer against challenges to the ownership of your home or from problems related to the title to your home. The policy provides coverage against losses due to title defects, even if the defects existed before you purchased your home. A title defect is a problem with the title which prevents free and clear ownership. There are many types of defects such as rights of way, encroachments (from neighbouring properties), unpaid liens, etc.. It also protects against fraud and forgery, including someone taking your title through fraud or forgery, encroachments that would be disclosed by a new survey (for example, a neighbour's deck being partly on your land), easements (the right acquired for access to or over another person's property for a specific purpose, such as for a driveway or public utilities that would be disclosed by a new survey, zoning non-compliance (i.e. where the property use does not meet the local municipal by-laws) and someone other than the homeowner having an interest in the land (i.e. a previous owner of the property not being discharged from title). 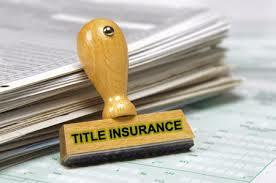 Title insurance is a one time premium payment when you first buy the insurance. Here's a post called Will Title Insurance Cover A Prior Renovation Completed Without A Building Permit? that's an essential read. 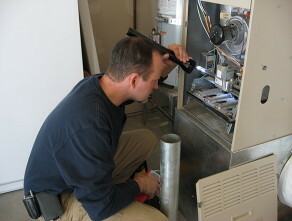 A home inspection is a comprehensive visual examination of the home’s overall structure, major systems and components. A trained and qualified home inspector will review your house as a system, looking at how one component of the house might affect the operability or lifespan of another. Components that are not performing properly should be identified, as well as items that are beyond their useful life or are unsafe. The purpose of the home inspection is to provide the client with a better understanding of the property conditions, as observed at the time of the inspection. Anticipate spending anywhere from around $300 to $750 depending on the firm, and the level of detail you're seeking including the engagement of a structural engineer. Note, you may also choose to engage other professionals to assess a property purchase including those who deal in insects (like termites), asbestos, radon gas and sick building syndrome. 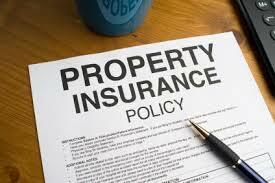 Property insurance provides protection against most risks to property, such as fire, theft and some weather damage. This includes specialized forms of insurance such as fire insurance, flood insurance, earthquake insurance, home insurance, or boiler insurance. Property is insured in two main ways—open perils and named perils. Open perils cover all the causes of loss not specifically excluded in the policy. Common exclusions on open peril policies include damage resulting from earthquakes, floods, nuclear incidents, acts of terrorism, and war. Named perils require the actual cause of loss to be listed in the policy for insurance to be provided. The more common named perils include such damage-causing events as fire, lightning, explosion, and theft. Most lenders require proof of property insurance on the closing date so ensure you give a copy to your lawyer. For a lender, a policy covering the replacement cost of the dwelling and your contents are the focus. This is applicable only for condominiums and co-operatives. 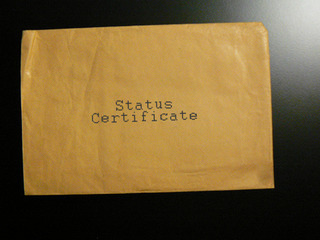 The status certificate is a document - per Section 76 of the Ontario Condo Act - that provides basic and essential information concerning the financial status of a unit and of the condo corporation. 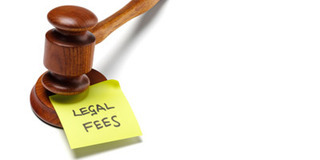 Its main focus is to inform a prospective owner of the fees, of any large increase that is going to come into effect, of any special assessment that is being contemplated by the board, and any arrears or lien that a particular suite might have. In addition, the Status Certificate contains the condo declaration, by-laws, budget, reserve fund, insurance, management contract, rules, minutes of the last annual general meeting, and mention of any lawsuit involving the corporation. This certificate can run into one hundred pages and costs $100. Your lender and lawyer will want to vet it in advance of closing. In fact, you should personally review the Status Certificate in advance of making a firm and binding purchase, for some lenders will not finance buildings with issues or concerns. As you can see, buying a home is a multi-step, complex process that requires foresight and accurate planning. At Urbaneer, we welcome the opportunity to help you approach your future home purchase from all the different angles, and to assist you to be ready when we find your perfect property match. With decades of experience navigating the Toronto housing market, as well as a vested, personal interest in our clients- which includes helping them think ahead and develop detailed strategies, we’re here to help! Like what you've read? Consider signing up in the box below to receive our FREE monthly newsletter on housing, culture and design, including our love for unique urban spaces and other Toronto real estate. I’m Buying A Property. What Does A Real Estate Lawyer Do?